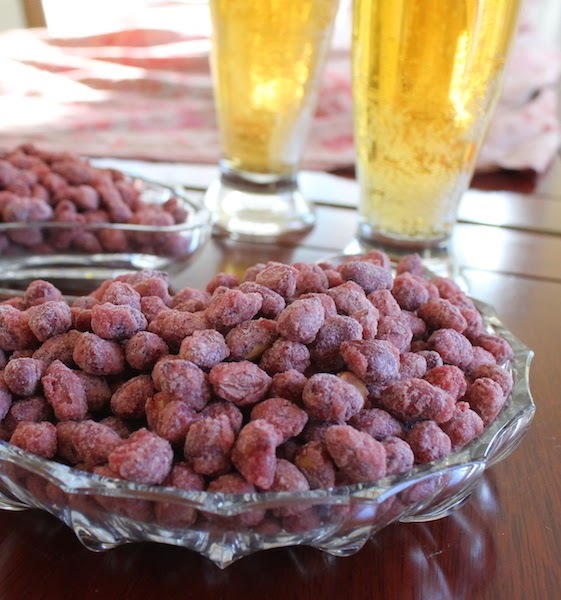 Crunchy, sweet and spicy, these peanuts are easy to make and even easier to eat! Since March is National Peanut Month in the United States, this month’s Foodie Extravaganza ingredient is, of course, peanuts. And, yes, yes, I know we already did peanut butter last November. It’s not the same, people! Plus, one can never have too much peanut butter or too many peanuts. Especially these little sweet and spicy ones. I could not stop eating them. Then my husband came home and I offered him a taste. He said, and I quote, “You better close the container or I’ll just keep eating them.” They’d be perfect to put around in bowls at a party. They go especially nicely with a cold beer! The original recipe is all over the internet because apparently Georgia Sugared Peanuts are a thing. I guess I shouldn’t be surprised since Georgia has the largest production of all the peanut producing states, accounting for 46 percent of all US grown peanuts. According to the Georgia Peanut Commission, peanuts are a $2.0 billion industry in Georgia alone. So much for the idiom about working for peanuts! The one change I made was to add a little cayenne into the mix, because just sweet is too sweet for us. We also need a little hit of heat. Preheat your oven to 300°F or 150°C. In a medium size pot over medium heat, combine the sugar, salt and water and stir until the sugar has completely dissolved. Add in your peanuts and continue cooking, stirring frequently, until the syrup is very thick. Sprinkle in your cayenne pepper and stir well. Continue cooking the peanuts until they are completely sugar coated and there is no syrup left. Scoop the peanuts out onto an ungreased baking pan, spreading and separating the peanuts as much as possible. Bake until the peanuts are completely dry, about 12 to 15 minutes, stirring at five minute intervals. Allow to cool and then, enjoy! A bowl for you and a bowl for me! Come celebrate National Peanut Month with us! Many thanks to this month's host, Alexis of We Like to Learn As We Go! American playwright Channing Pollock is quoted as saying, ""No man in the world has more courage than the man who can stop after eating one peanut." 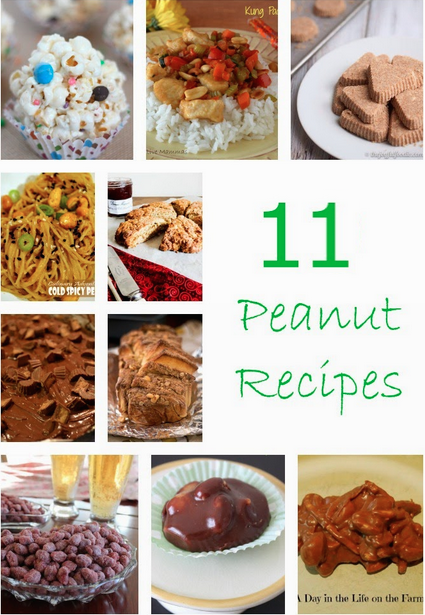 I say, "When you are blessed with a list of 11 lovely peanut recipes, courage is overrated."